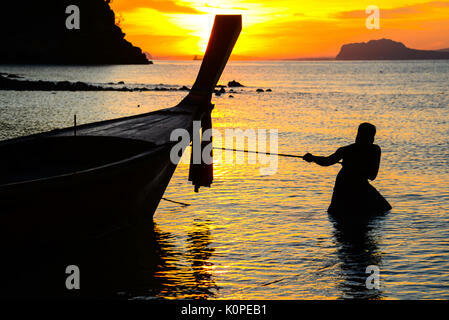 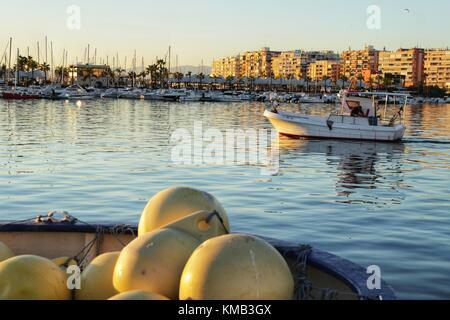 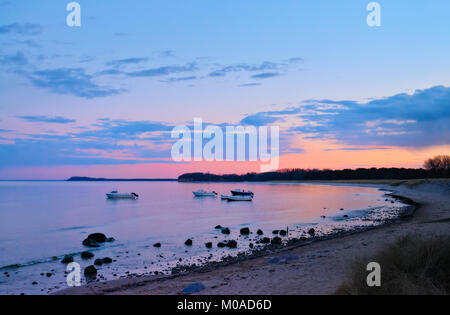 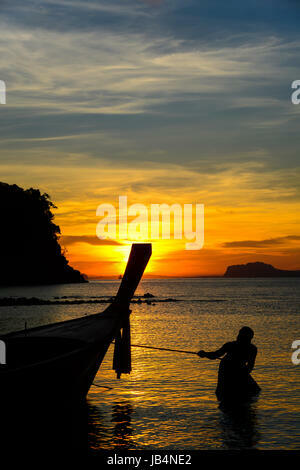 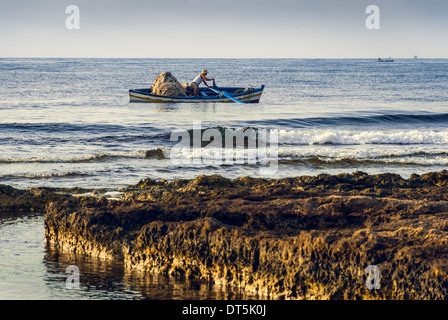 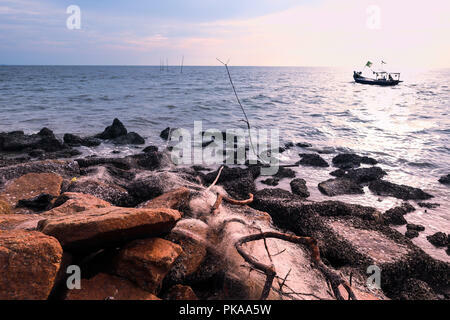 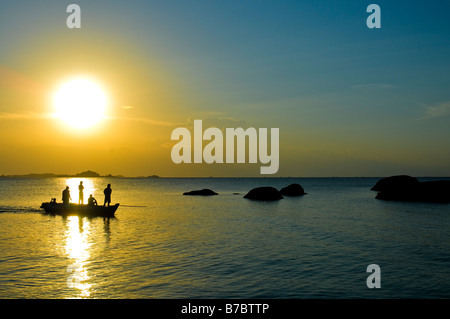 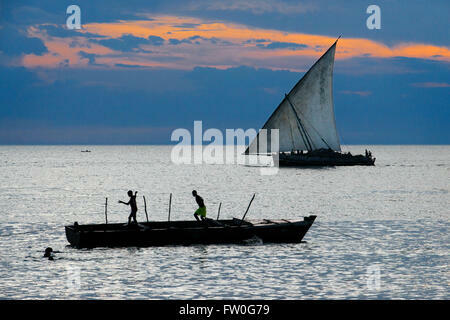 Fisherman pulling fishing boat to go into the sea in early morning. 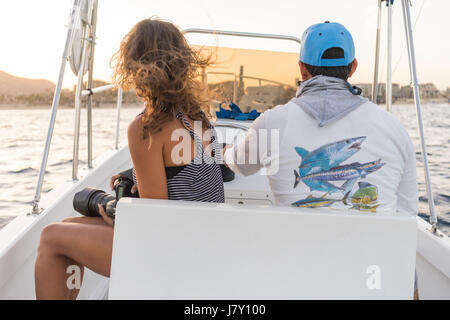 Young woman in the boat at sunset near the rock formations around the Arch in Cabo San Lucas, Mexico. 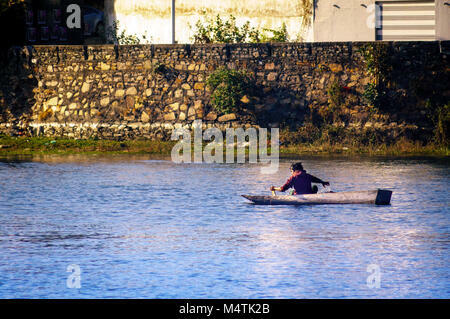 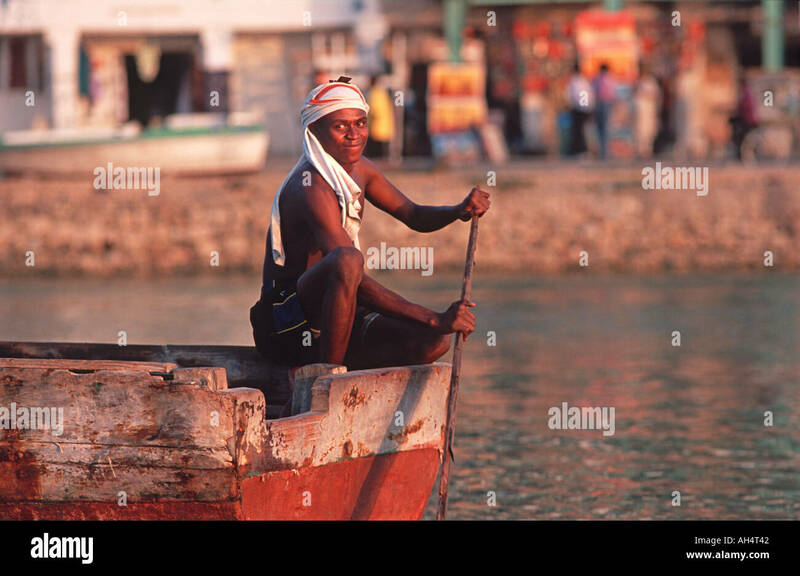 Male fisherman driving the boat.